It’s no longer a secret how effective vitamin C and E is on our skin. There are numerous skin care products on the market that add these vitamins to their own formula. Some brands are effective, while others are not. I recently heard about Eau Thermale Avene new product launch that uses vitamin C and E to improve, enhance and restore our skin. I just had to try it. Their BODY & A-Oxitive that has its own unique patented delivery system that has shown some pretty amazing results. Their exclusive technology boosts skin’s defense by neutralizing free radicals caused by environmental and lifestyle stressors. This advanced formula also helps prevent visible signs of aging and leaves your skin smooth and radiant. Urban Shield care. Preserve your youthful glow. As many know, Vitamin C oxidizes when exposed to air, and it takes 20 minutes for a product to be absorbed by the skin, so if the product is not protected by the time it is absorbed into the skin it has lost its efficacy. That’s why Avène has patented a system to coat the product so that it keeps the ingredients fresh while they are being absorbed into the skin. Vitamin C, also called ascorbic acid, is an antioxidant that helps slow down the aging process. It also helps our bodies make collagen, which is a protein that has the ability to promote cell and blood vessel growth, provide elasticity to our skin and gives it firmness and strength. Vitamn C also reduces fine lines and wrinkles, helps heal inflammatory conditions, helps prevent cellulite and aids in skin repair. Vitamin E is another beneficial antioxidant that has positive effects on the skin. It defends our skin from free radicals, pollution and UV exposure which contribute to wrinkles and brown spots. It also protects cell membranes and acts as a barrier to keep your skin supple and moisturized. Combine these two powerful antioxidants along with thermal spring water rich in minerals, and you have a potent skincare defense system like the new products from Eau Thermale Avene’s BODY & A-Oxitive. 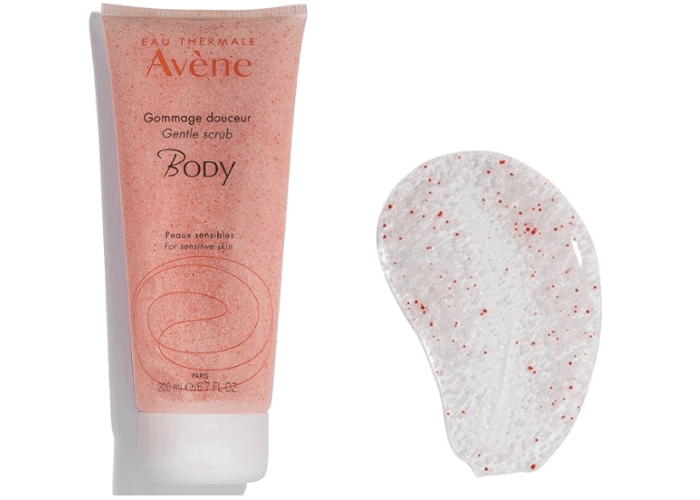 I love the Avène Gentle Scrub. Its lovely fragrance is created with a fusion of three relaxing scents, rose, jasmine, and bergamot. It’s lightweight and has very little suds. You can feel all the tiny non-abrasive jojoba wax beads working to exfoliate and your cleanse your skin. It also contains Camelina, Shea, and Safflower oils which help restore, smooth and nourish the skin. I use the Gentle Scrub in the evening and I like how it leaves my skin super soft and clean. No dryness or itchiness, just smooth and supple skin. I followed this gentle exfoliating treatment with more of the A-Oxitive products. The Avène Skin Care Oil has the same delicate fragrance that is soothing to the soul. It’s a non-greasy, non-sticky dry oil that has a multitude of functions. It provides antioxidant protection, helps nourish the skin and enhances its natural radiance. If you have dry hair like me, you can add a small amount for some nourishment and added shine. I actually tried this, and I was surprised that my hair didn’t look or feel greasy. It added a subtle shine that looked natural. If you use it on your skin, it will absorb very quickly and leave it velvety soft. Two Complimentary Products that Protect the Skin from Environmental Stresses! The Serum Defense formula has a lot of attributes. It’s fast absorbing, lightweight, protects the skin, and our complexions will look noticeably fresher, younger and more radiant. My mom has been using this serum for about a week now and she sees signs of improvement in not only her wrinkles, but in the texture of her skin. It’s quite a bit softer and smoother. It’s hard to discern how her skin has improved, whether it’s fewer fine lines or smaller pores, her skin just looks better. She likes the option of locking the pump so the serum doesn’t oxidize. She also appreciates the price, it’s only $44 compared to her previous serum which cost more than twice. The Water Cream is also a multipurpose cream rich in hydrating ingredients that helps support collagen and brighten the skin while remaining gentle enough for sensitive skin. One unique ingredient is Mother-of-pearl, an energizing molecule that helps the skin amp up its natural defense against free radicals. It also has Hyaluronic Acid which provides our skin with intense hydration. Most skincare products contain hyaluronic acid because of its skin benefits. It reduces those pesky fine lines and noticeable wrinkles, pacifies dry skin, and even accelerates wound healing. It can also help relieve joint pain in people with osteoarthritis. I personally like its aromatic scent and how lightweight it feels on the skin. 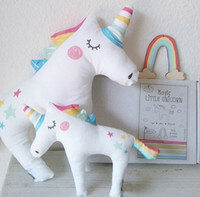 It flows on silky and absorbs almost instantaneously leaving a smooth and soft surface. If I had to say anything negative, it would be that a few of my family members could not use these products because the scent is so strong. It doesn’t bother me, but they were sneezing and tearing up. My mom and I like this line of skincare and we see the benefit of using a brand that produces results. I have dry skin in the winter months. My skin goes from notmal to dry depending on the season. I have dry to normal skin. I have combination skin. It used to be oily but is getting so dry in places as I get older. I tend towards dry skin. I have combination skin. Oily on the t-zone and dry everywhere else. I have dry skin, especially in the winter. I have generally oily skin. My skin is normal but a little dry in winter. My skin type is combination I guess — LOL! Sometimes it’s dry, sometimes it’s oily — go figure! I have dry sensitive skin! Thank you! I would consider my skin dry. I have dry skin and some eczema. I have sensitive skin, so I am already an Avene customer! I’ve never tried these products before, however and would love to! I have very dry, sensitive skin! I have dry skin in winter and normal in summer. Having returned this morning to do more entries this one can’t be done since it’s all on a timer – which means that I’m not always going to be able to get my entries in and of course all the times that I still have to wait are different, sigh. I don’t suppose that can be adjusted can it? I would say I have dry skin. I have sensitive, reactive skin. My skin is fairly dry. I have dry sensitive skin. I believe I have normal skin however, I still like to use products for sensitive skin. My skin varies…some areas are oily, other areas are dry. Thanks for the giveaway! I have combination skin, sometimes oily and sometimes dry. Definitely dry skin. Usually gets red and irritated. I have combinations skin – dry in the T zone and normal the rest. My skin is quite dry. My skin is really dry & I have a scar on the left side of my face ! My face was treated for pre cancerous lessions, used Effulux for six weeks, by the sixth week my face was a real mess. Then I had to have a second treatment after a years time. After the six weeks of treatment I had a really bad reaction, my face felt like it was burning so I had to use a burn cream for a week for some relief. My face now has a scar on the left side that is very noticeable !! I have combination skin with a bit of sensitivity. Dry, large pores…not great. Needs some love and attention. My skin is mostly dry, not too oily but a little sensitive. The Sweepstakes widget isn’t registering completed twitter actions so points aren’t accurate for me. Combination but more dry in the winter. My facial skin is combination and oddly both dehydrated and partly oily and the skin on the rest of my body is normal to dry and dehydrated but much, much drier in the winter. My skin needs lot of help, very dry skin, please !! Great products for the skin, I love to enter contests, thanks !! I have combination skin with normal and oil patches. These products sound amazing. My skin is normal but aging. The best skin product on here…. I have normal type skin.